292 miles southwest of Mahe lies the St François Lagoon and adjacent Alphonse Island, part of the Amirantes group of Islands. Season - 1 October to 31 May. 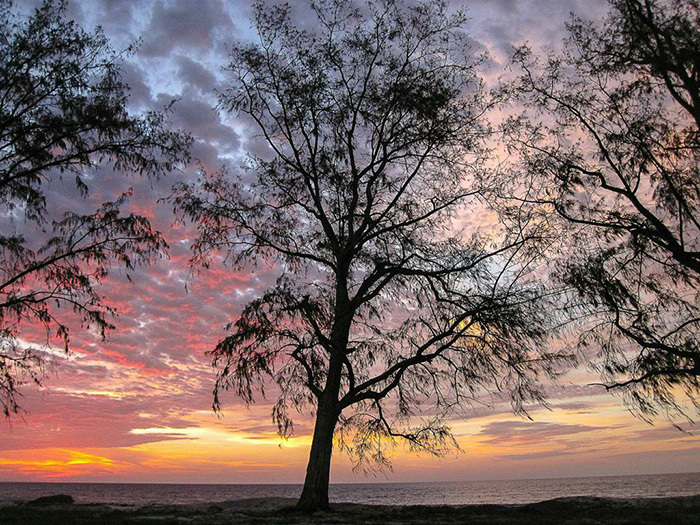 Alphonse is the one of the famed saltwater destinations of the Indian Ocean. Perhaps home to the most prolific Bone fishery in the world. 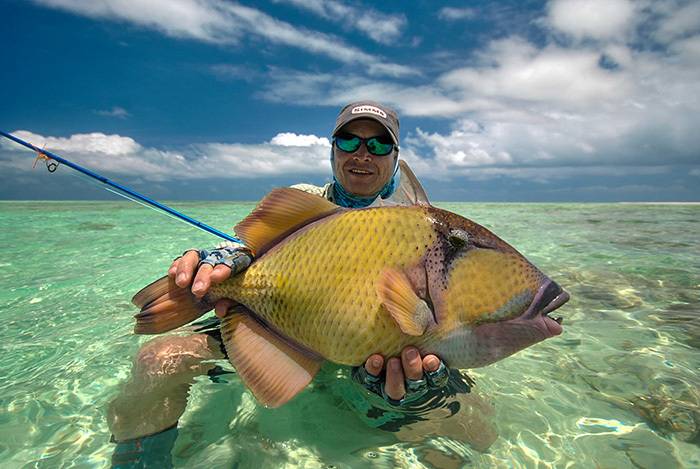 There are three species of Trigger fish, five species of Trevally and a plethora of other flats and offshore species. 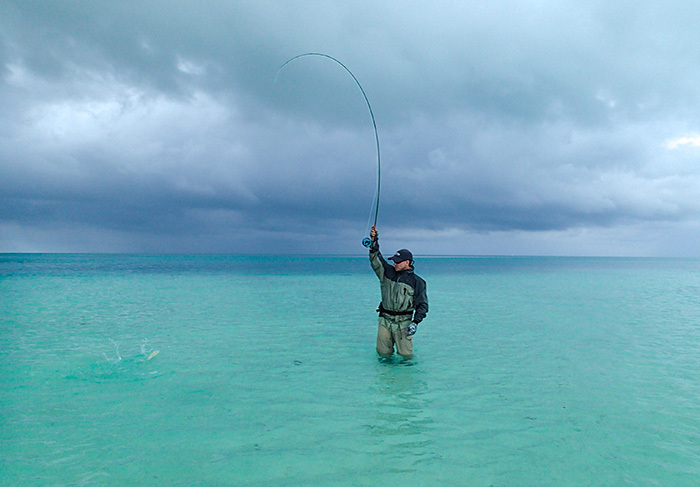 Bonefish ranging in size from 3 – 8 lbs. The fishery caters for just 12 anglers. 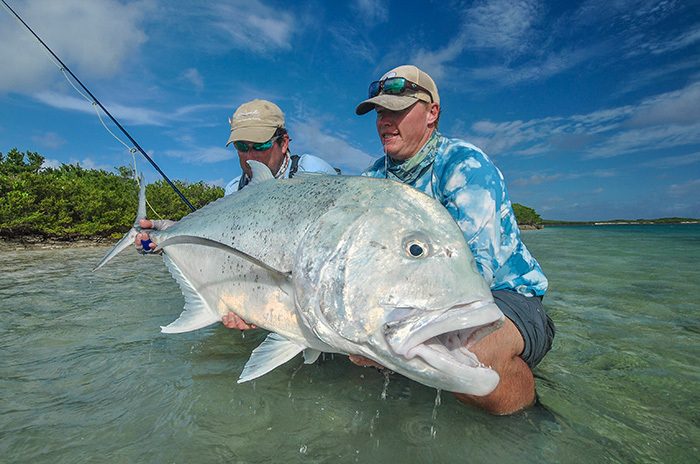 Two per anglers pr skiff and guests are guided by some of the most experienced saltwater guides. 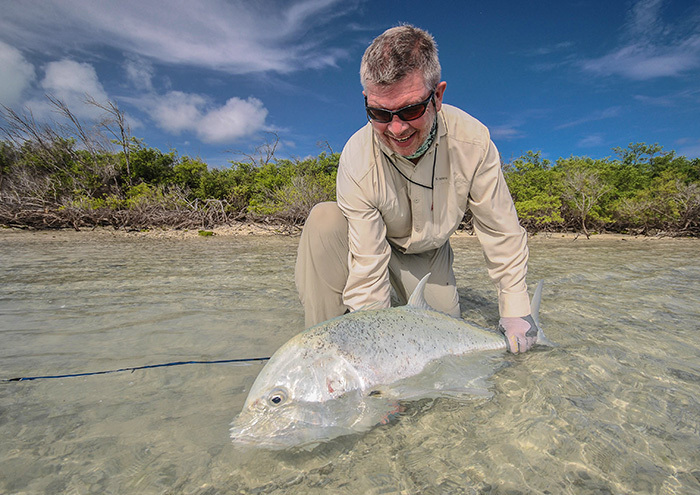 Alphonse is amongst some of the most comfortable of any fishing camp in the world. 292 miles southwest of Mahe lies the St François Lagoon and adjacent Alphonse Island, part of the Amirantes group of Islands. Alphonse is the one of the famed saltwater destinations of the Indian Ocean and perhaps home to the most prolific Bone fishery in the world. 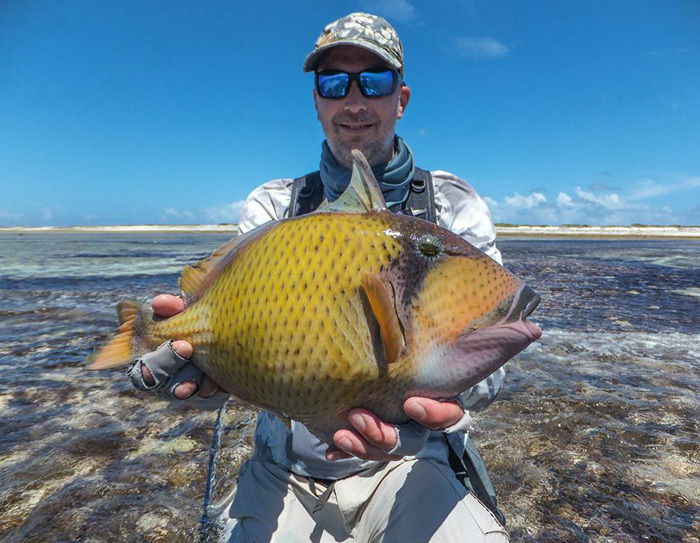 In addition to the abundant bonefish (ranging in size from 3 – 8 lbs) there are three species of Trigger fish, five species of Trevally and a plethora of other flats and offshore species. Perhaps the most challenging fish to catch is the fabled Milkfish; a turbo charged algae eater growing to 40lbs. The guides on Alphonse Island have pioneered techniques which have allowed these vegetarian and notoriously difficult fish to be caught. This diversity gives the angler the opportunity to target a myriad of different species during the course of one trip. The fishery caters for just 12 anglers, two per skiff and guests are guided by some of the most experienced saltwater guides. Anglers are transferred for the short run from Alphonse to St François lagoon by the 40’ mothership to where the skiffs are kept anchored. The fishing is very much tide dependent so the prevailing conditions will dictate which species you will focus on. 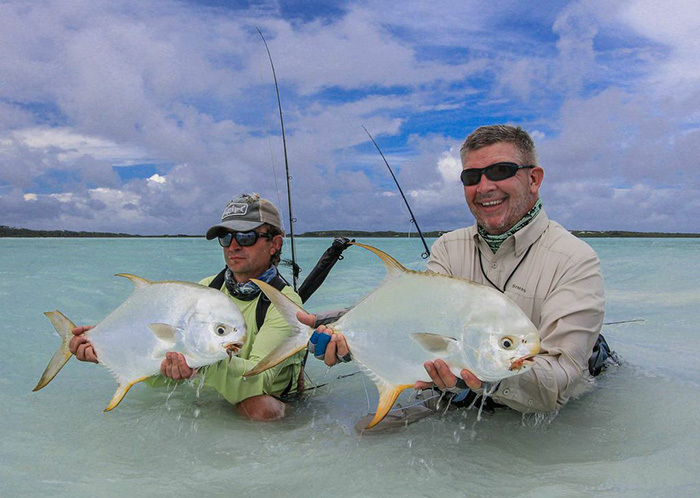 You are then able to access the vast expanse of flats, lagoons, channels and reefs which spoil anglers in the choice of environment and species for which they would like to hunt. Combined with the fabulous fishing, the accommodation at Alphonse is amongst some of the most comfortable of any fishing camp in the world. Guests stay in one of 15 privately spaced air conditioned bungalows or 4 one bedroom villas, offering every kind of comfort. Not only is it attractive for fishermen but also their partners who would like a week of relaxation. The bar area provides the ideal venue to relax in the evening breeze after a hard day on the flats and also houses the superb new restaurant serving fresh sea food of the highest quality. A standard package would include return flights from Mahe to Alphonse by charter plane; a short 45 minute journey. The seasons runs from early October to late May. Season - 1 October to 31 May - There is however the option to book at other times with a minimum group of 6 pax. The trips will be based on a Sat/Sat week long trips, with the possibility to increase the package to a 10 day trip (Wed/Sat or Sat/Wed) should there be a minimum of 6 clients wanting to do so. There is also the option for private charters which will allow guests to come and go as they please. 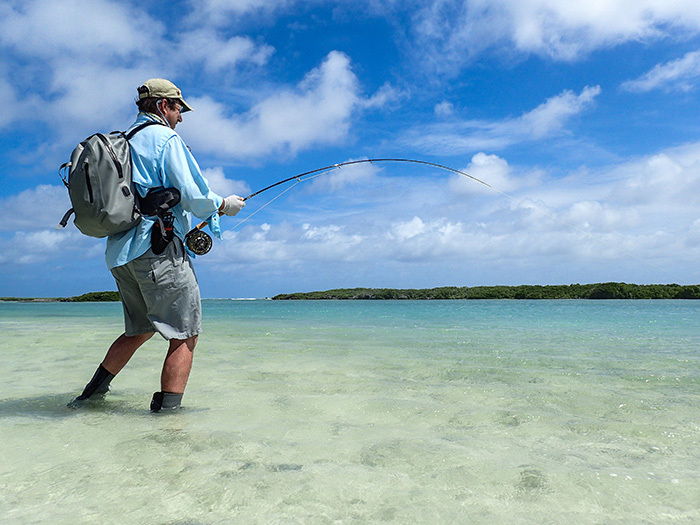 Fly Fishing - As per this season there will be a max of 12 fly anglers on St François at any time. 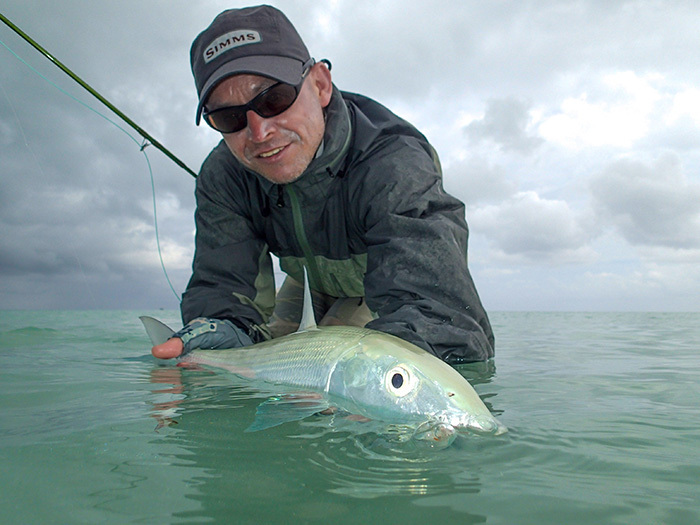 Alphonse and St François will continue with its strict no conventional fishing on the flats and reefs. Bluewater - There will be 2 bluewater boats available for chartering. One will primarily be used for fly fishing and the other for conventional angling. There will be NO conventional angling next to the reef as the aim of the conventional boat will be purely for targeting pelagic species. We do require a considerable amount of fresh fish for the hotel guests and targeting pelagic species will have very little effect on our resident species. Astove Atoll is situated 570 nautical miles SW of Mahe. 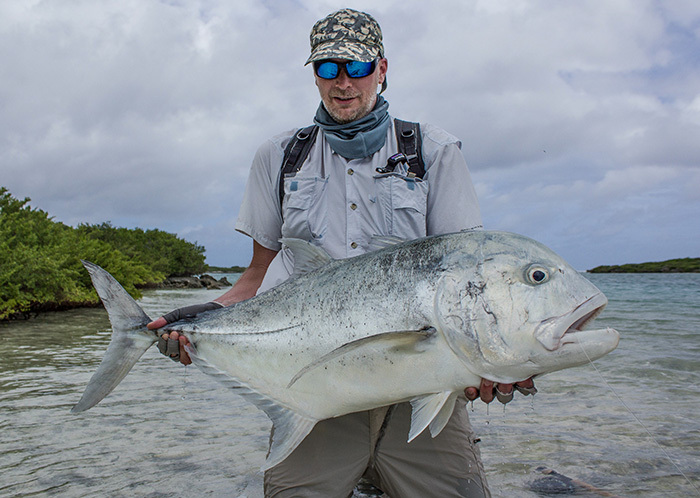 Astove Atoll has become synonymous with catching the biggest GT’s in the Indian Ocean. Not only does Astove have big GT’s but also Bonefish, Permit, Barracuda, Milkfish, Bluefin Trevally, Triggerfish, Yellowfin Tuna, Dogtooth Tuna, Wahoo, Sailfish and Marlin. The “Wall” which runs the entire length of the Western side of the atoll drops off to over a 1000 meters within a few hundred meters from shore. Jacques Cousteau made this incredible place famous in 1956 when he filmed part of “The Silent World” along its edge. 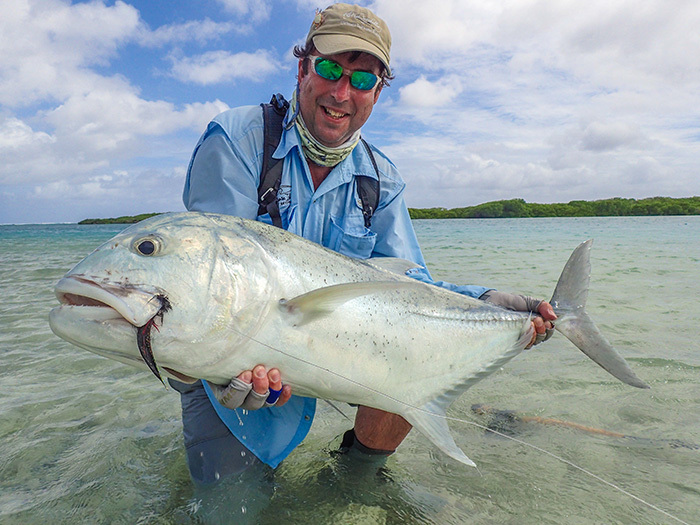 “The Secret Is Out” The New Astove Island Lodge – The best saltwater fly fishing destination on this planet! 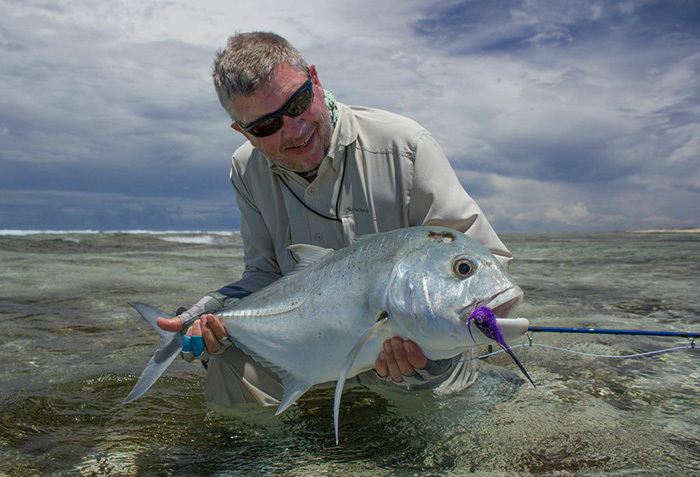 In recent years, Astove Atoll has become synonymous with catching the biggest GT’s in the Indian Ocean and is fast becoming known for one of the largest GT populations and variety of species. Its shallow lagoon with one small entrance that is surrounded by sheer drop-offs is truly unique. This lagoon is a sanctuary for juvenile fish that are often preyed on by the bigger species and it’s this attraction that makes it one of the best and wildest fly fishing destinations on this planet. Not only does Astove have big GT’s but also Bonefish, Permit, Barracuda, Milkfish, Bluefin Trevally, Triggerfish, Yellowfin Tuna, Dogtooth Tuna, Wahoo, Sailfish and Marlin. It is a world filled with colour, where the daily dramas of a pristine ecosystem play out in front of your very eyes, a rare exclusive opportunity and privilege to gaze into a world, which has changed very little in the years that have passed. The “Wall” which runs the entire length of the Western side of the atoll drops off to over a 1000 meters within a few hundred meters from shore. It’s an amazing place that is teeming with both pelagic and resident fish species. Jacques Cousteau made this incredible place famous in 1956 when he filmed part of “The Silent World” along its edge. Now that the Astove runway and the new Astove lodge is complete, 6 lucky anglers per week will have this atoll all to themselves while staying on terra firma. 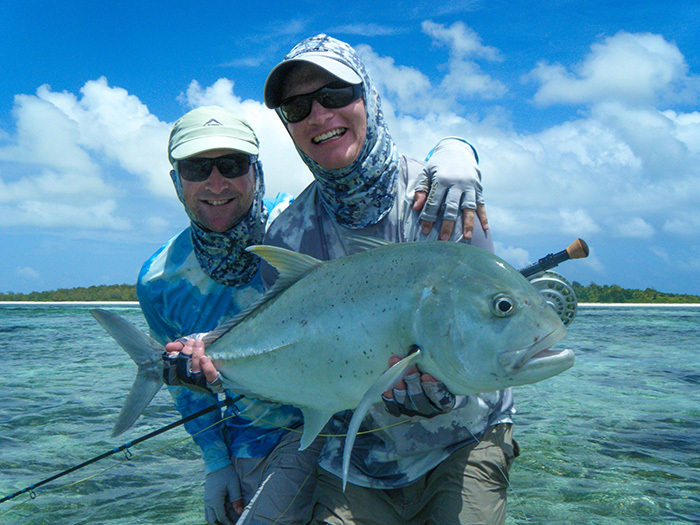 The group will spend 7 nights in the lodge and have 6 and a half full days fly fishing and exploring this remote atoll. Teams will comprise of 2 anglers and 1 guide fishing either from a skiff or on foot depending on the chosen fishing area and tide. The accommodation is rustic but comfortable, comprising of 6 single occupancy bedrooms. Astove Atoll is situated 570 nautical miles SW of Mahe. Guests are expected to arrive in Mahe the day before the trip and will meet at the domestic terminal a hour before the scheduled departure. The flight from Mahe to Astove is 2 hours 30 min. Cosmoledo Atoll 560 nautical miles SW of Mahe. 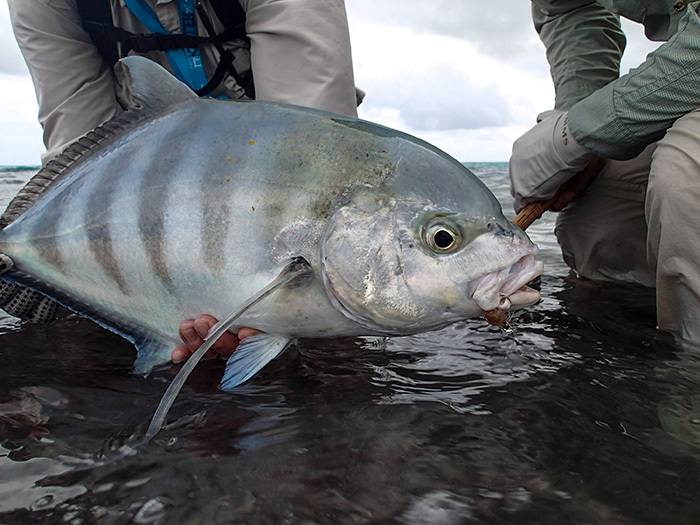 Cosmoledo has become known as the best GT fishery in the world. The sheer numbers and variety of fish species has amazed the fly fishing world. Menai and Wizard islands occupy the east and west points and were named after the two ships that explored the atoll on the Moresby Expedition in 1822. The northern islands are interspersed with numerous islets and banks, all of which see good numbers of large fish. The flight from Mahe to Assumption is 2 hours 45 min. 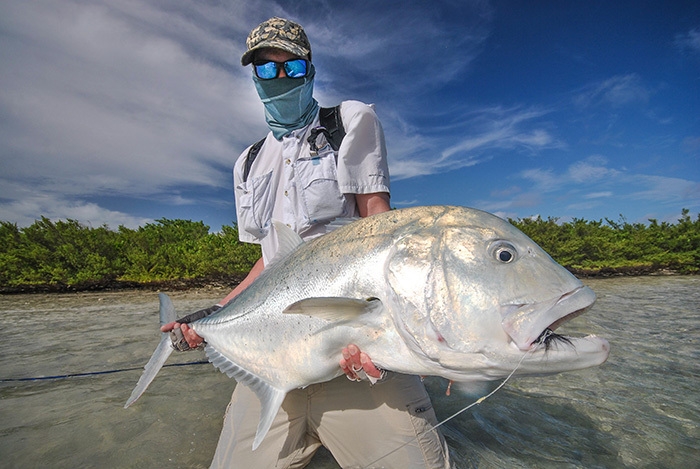 Cosmoledo’s large white sand flats, lagoon edges and channels are without question ruled by the notorious Giant Trevally, so much so that it is often referred to as planet earth's GT headquarters! GT’s. 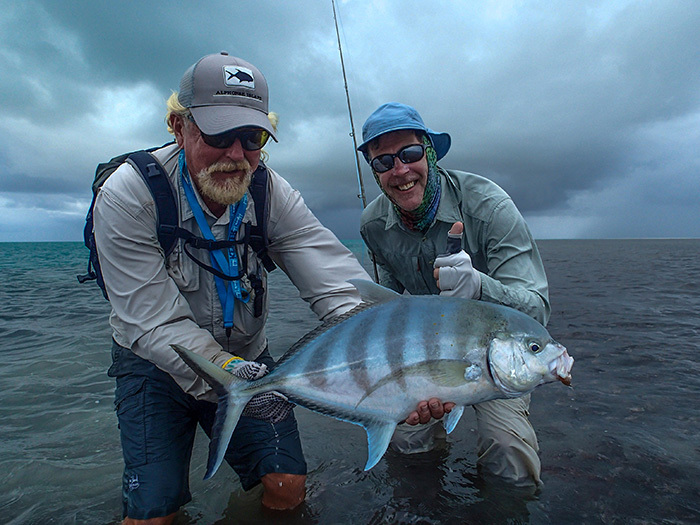 Alphonse Fishing Co operates professionally guided trips to one of the most remote fishing destination in the world. 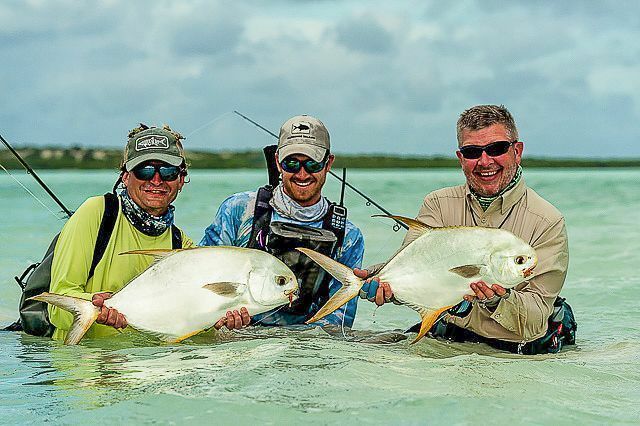 In past years, Cosmoledo has become known as the best GT fishery in the world and has become the benchmark for anglers searching for the ultimate saltwater flats destination. 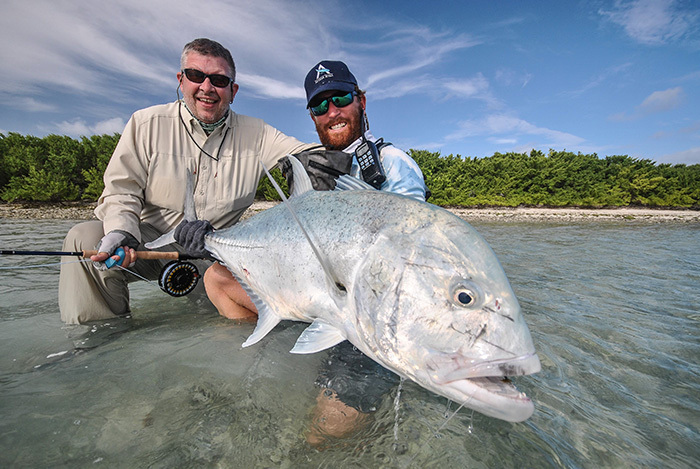 The sheer numbers and variety of fish species has amazed the fly fishing world, with anglers from across the globe queuing up to sample the ultimate fishing playground. 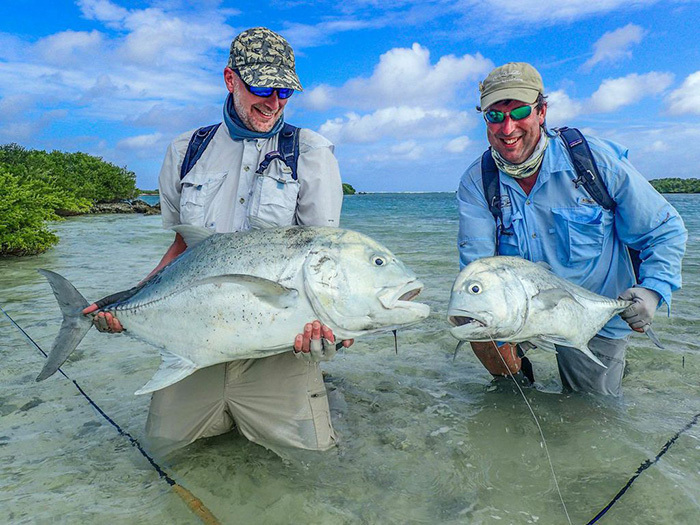 After just completing numerous seasons we can now honestly say that this atoll has been rested and the fishing has rejuvenated itself to an untouched ecosystem full of hungry GT’s. It is a world filled with colour, where the daily dramas of a pristine ecosystem play out in front of your very eyes, a rare opportunity and privilege to gaze into a world, which has changed very little in the years that have passed. Cosmoledo is a stones throw away from the world heritage site of Aldabra, and in many respects resembles the latter, which is often referred to as the Galapagos of the Indian Ocean. Menai and Wizard islands occupy the east and west points and were named after the two ships that explored the atoll on the Moresby Expedition in 1822. South Island stands near the main entrance to the inner lagoon, while the second smaller entrance is just south of Menai. The northern islands are interspersed with numerous islets and banks, all of which see good numbers of large fish. Guests are expected to arrive in Mahe the day before the starting day of the trip, which commences with a charter flight to Assumption. The group will meet an hour before the scheduled departure time at the domestic or IDC hanger terminal. The flight from Mahe to Assumption is 2 hours 45 min onboard a private chartered Beechcraft 1900. Guests are met by the the crew at the landing strip and are then led on a 5 min walk to the bay where the live aboard will be anchored. The group will spend the days fishing and exploring the islands, flats and channels of Cosmoledo Atoll. On the last evening the mothership will cruise back to Assumption for where the charter flight will pick the group up. 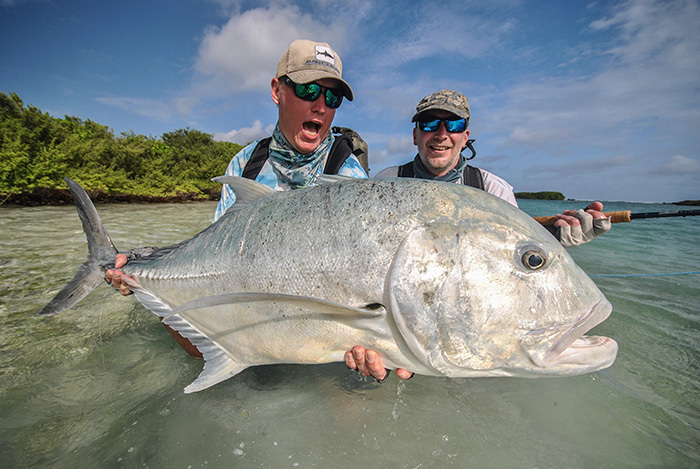 Cosmoledo’s large white sand flats, lagoon edges and channels are without question ruled by the notorious Giant Trevally, so much so that it is often referred to as planet earth's GT headquarters! GT’s are however not the only species which can be found here in numbers. 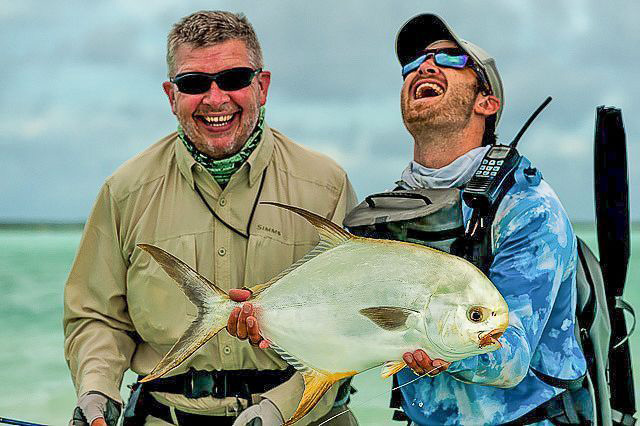 Bonefish, Milkfish, the finicky Indo-Pacific Permit and a host of Triggerfish species all call Cosmoledo home and hence make this truly special fishing destination. Even though the Seychelles water are considered to as safe there will be 3 security personal on board at all times as a precaution.